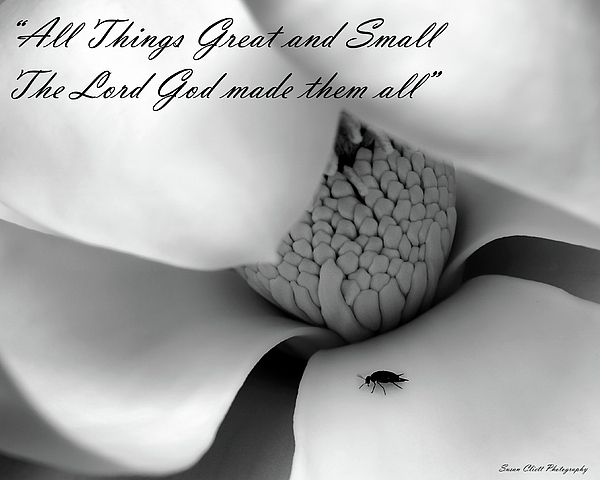 There are no comments for All Things Great And Small. Click here to post the first comment. This is a photo taken by me, Susan Cliett, of a magnolia bloom in my yard.